Beyond admitting to fraud in a 2004 CDC study that exonerated the MMR vaccine, Dr. William Thompson, a CDC scientist, asserts there is a connection between mercury (thimerosal) in vaccines and autism. Thompson states that giving a vaccine containing mercury to a pregnant woman is something he would never do. For a scientist at the CDC to make this admission, after millions and millions of dollars have been spent by that agency and the US government to conclude mercury has no connection to autism…it’s extraordinary, to say the least. The PR mantra declaring thimerosal safe has been repeated thousands of times by major media outlets—and now a researcher on the inside has repudiated it. Experts and other con artists will try to parse Thompson’s words, but the meaning is clear. 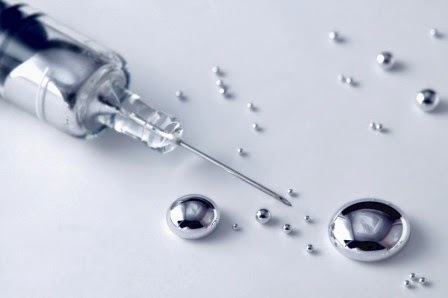 Only a mindless idiot or an overt killer would inject a vaccine containing mercury into a human being. Meanwhile, the major media blackout on Thompson’s revelations continues. The collusion in a vast crime is their mission.